Offices To Go Armless Stacking Chair  Free Shipping! 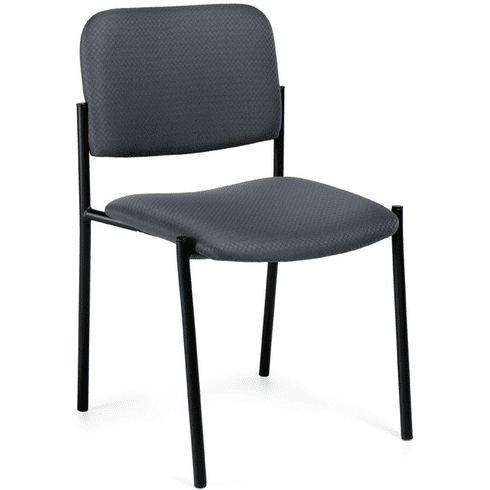 This armless stacking chair from Offices To Go™ features stain resistant, commercial grade upholstery available in your choice of (4) different colored fabrics. Other features include foam padded seat and backrest cushions for added comfort, a black epoxy powder coated frame, stackable up to (5) chairs high, lightweight for easy transport and storage and a tubular steel frame for stability. This chair meets or exceeds ANSI/BIFMA standards. Dimensions: Back Size: 17.5"W x 13.5"H. Seat Size: 18"W x 17.5"D. Seat Height: 18"H. Overall: 32"H x 19.5"W x 22.5"D. Five year limited warranty from Offices to Go.